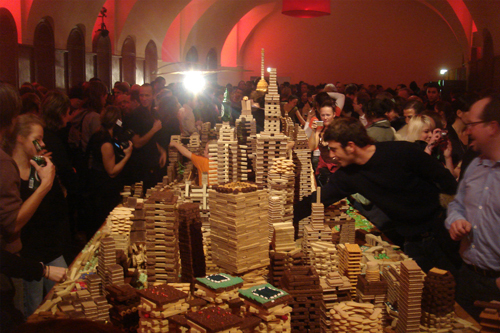 Punctuating the ending of FIELD MEETING, Song Dong invites the public to feast on his world-traveled Eating the City installation built from thousands of edible biscuits, crackers, and sweets. Alongside, Zi Jie at East Lake, a pop-up exhibition addressing issues of urbanization & gentrification in Central China by emerging artist Li Jun. Co-presented with Beijing Contemporary Art Foundation as part of Creative China Festival on the occasion of Mana Contemporary’s Open House.Through December 15. Comp shuttle every half hour from Milk Studios (450 W 15th St.) between 12:30 – 5pm.